The Việt Nam team have set a target of winning medals, not just collecting experiences, at the Paralympics in Rio de Janeiro, Brasil, next month. The delegation, which is represented by 11 athletes, one guide and 10 officials, took part in the departure ceremony in HCM City on Saturday. 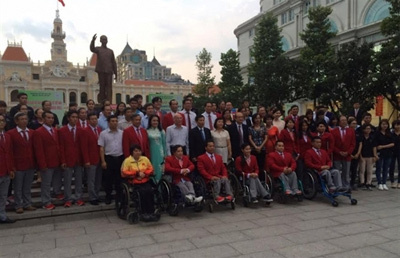 This year’s team are the largest ever sent from Việt Nam to participate at a Paralympics. They will compete in three sports, including powerlifting, swimming and track-and-field. Among the athletes, lifter Châu Hoàng Tuyết Loan is the most fortunate participant, as she only received her berth last week. She will compete in the women’s 55kg class. Lifter Lê Văn Công, world record holder, and swimmer Võ Thanh Tùng, five-time Asian winner, shoulder heavy tasks for the team. Speaking at the ceremony, Minister of Culture, Sports and Tourism Nguyễn Ngọc Thiện said he hoped Vietnamese athletes would be confident in their ability to make magic at the Rio Games. To encourage athletes, sponsors presented VNĐ 550 million to all athletes at the ceremony. 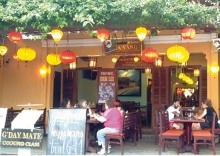 Further, Vietravel promised to deliver US$5,000 for each gold medal and record. Also, the Institute of Physics pledged $1,000 for the first gold medal winner. Athletes under chief de mission Phạm Văn Tuấn, deputy head of the Việt Nam Sports Administration, will depart on August 30. The Paralympics will be held from September 7-18./.